Aug 26, 2016 — The former second-in-command in the Franklin County sheriff’s department has admitted that he ordered his deputies to follow and harass county legislators. On the morning he was scheduled to stand trial, Patrick White reached a plea agreement that will allow him to avoid jail time. The deal brings an end to a long-simmering case, but there could be political repercussions in an ongoing state Assembly campaign.The case stems from allegations made by former deputy Luke Cromp nearly two years ago. Cromp claimed Patrick White ordered him to follow three county legislators and to try to arrest them for drunk driving because they had “taken actions that were not favorable” to the agenda of county Sheriff Kevin Mulverhill. One legislator was arrested in August 2013, but the driving while ability impaired charge against him was later reduced to a moving violation. In December, White was indicted on three counts of official misconduct, a misdemeanor.In court Wednesday, White entered guilty pleas to three counts of second-degree harassment, a violation. He admitted that he “caused” and “allowed” his deputies to follow county legislators to public places to “harass, annoy and alarm” them. As part of a plea deal, White was sentenced to a conditional discharge, plus fees and surcharges totaling $120. Alex Lesyk, a former assistant district attorney and a SUNY Canton law professor, served as special prosecutor in the case. If the case had gone to trial, Lesyk said he had witnesses who would have testified there was “an ulterior motive” behind White directing deputies to follow legislators. He also noted that the Franklin County sheriff’s department doesn’t do road patrols and would normally turn over any complaints about drunk drivers to the state police. But there were no such recorded complaints about legislators, Lesyk says. In an interview outside of the courtroom, White denied ordering deputies to target legislators for drunk driving, despite his guilty plea. He said he only accepted the plea deal because he was afraid he’d have to do jail time if he was convicted. White claims Cromp “took it upon himself to target” legislators. During his investigation, Lesyk said he never found any evidence or information that the directive to tail legislators came from the sheriff, Kevin Mulverhill, who has denied any involvement. 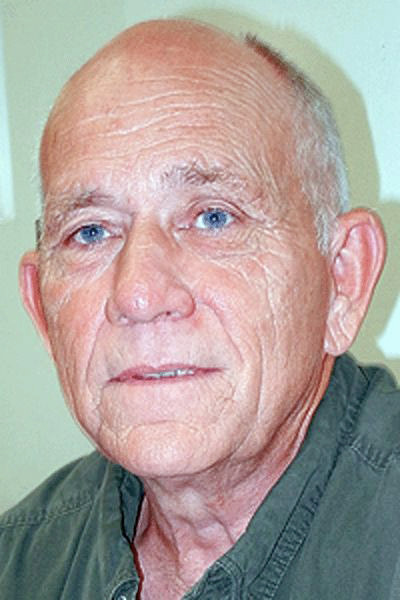 Mulverhill, a Republican, is in the midst of a tight race with Democrat Billy Jones, chairman of the county legislature, for Janet Duprey’s Assembly seat. Mulverhill didn’t return a telephone message but issued a statement Wednesday. It didn’t address any political ramifications of the case but said he said it was “unfortunate” so much time and money was spent on it. The sheriff added that his deputies will take necessary action to protect the public from drunk drivers. “No one is above the law,” Mulverhill said.